I've recently been a little bit in love with my hair as it's beginning to reach a lovely length after many many years of growing it out. Because of this, I've started getting a little more experimental with how I style my hair and different ways of wearing it. I also dyed it ginger just before Christmas which is quite a change from the usual dark blonde/light brown mix and it's left me feeling a whole lot more confident which is awesome! Admittedly, some of these images do show horrendous roots as I was tempted to grow the colour out at one point however do not worry, the colour has been renewed and all is right in the world once again. All of the following images have been sourced from my Instagram or personal selfie collections. I thought I'd share a few cute styles that I've recently loved which I think would look adorable in the Spring time. To start with, this is my natural hair, it's a little frizzy and hard to tame at times and I'm currently in the stages of growing out my fringe however this hasn't stopped me experimenting with some super cute hairstyles that I've never dared to attempt before. 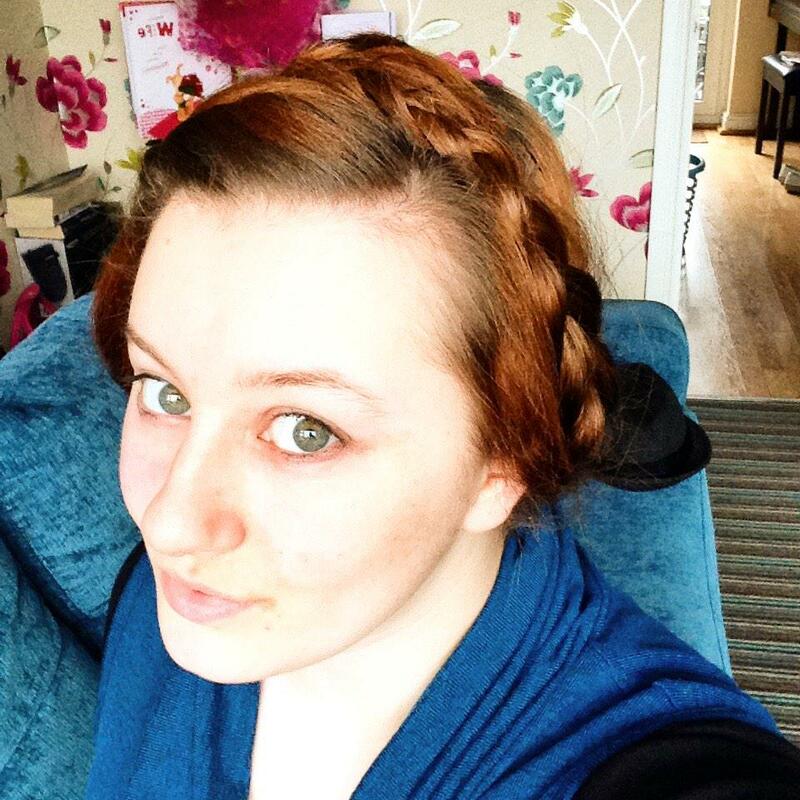 This milkmaid braid up-do took me about 5 minutes to do and is super simple. All it takes it hair that's long enough to secure on the top of your head when plaited. I split my hair in to two loose plaits that I tugged at to make them a little wider, before securing them where I'd place a clear hair bobble and used a few extra pins to help tuck away the ends. Once secured I pulled the plaits a little to make them look thicker. The lovely thing about this one is that you can weave ribbon in to the plaits or pop some flowers along them to make it super girly. An incredibly simple style, this involves very little work. To achieve this look I curled my hair before brushing through the curls with a flat brush then rolled back the front section of hair and secured it with two pins cross locked. This one's great for when you need a day-to-night look. I absolutely love this style, it's really easy and looks really cute. For this look, I took a side parting and dutch plaited the hair along the hairline on both sides and secured each plait with a hair band. Then I took the rest of my hair up in to a messy bun secured just below the crown before pinning the two plaits at the base of my head to form a continuous ring.I wear this as more of a casual look however it can be made to look rather glam if a little more time and effort goes in to play and you secure it with a neat bun at the nape of the neck as shown below. Sleek and smooth and perfect for a fancy evening! I've added a silk scrunchie to the bun however you could also use a bow, or simply pin the hair in to place. You could also add flowers or ribbon to the plait as in the milkmaid plaits. This last hairstyle is an oldie but goldie and very childish however I love popping my hair in to double Dutch plaits when I've got tons of housework to do. Just to point out the difference, Dutch plaits take the hair underneath to produce a more stand-out 3D effect whereas French plaits take the hair over the top. Which is your favourite? Are there any hairstyles you've been trying out that you love? Let me know in the comments below OR get in touch through Twitter, Facebook or Instagram! All of my other social links can be found here.